Toecabulary is the comprehensive glossary of photography terminology and techniques. Every week, you get to learn a new term defined and depicted in stunning photographs and videos. 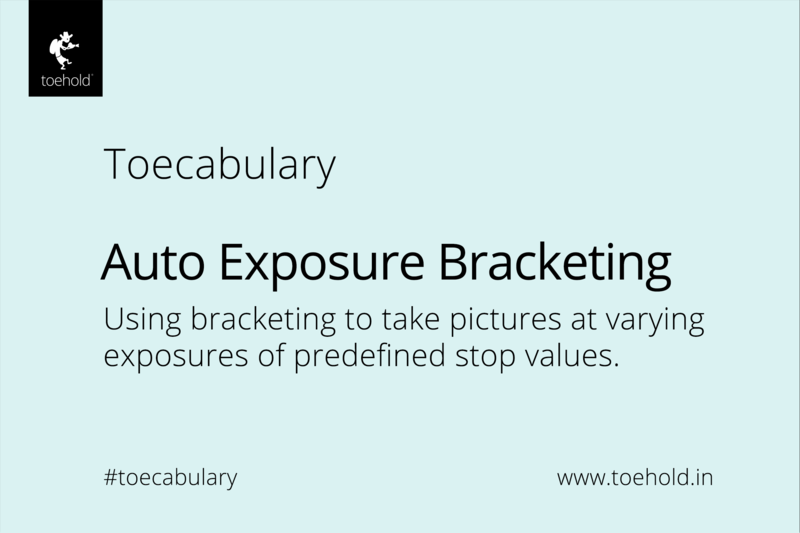 Click here if you wish to refer to this Dictionary of Photography in its entirety, or, click here to read all our weekly Toecabulary posts that discuss various concepts of photography in great detail. 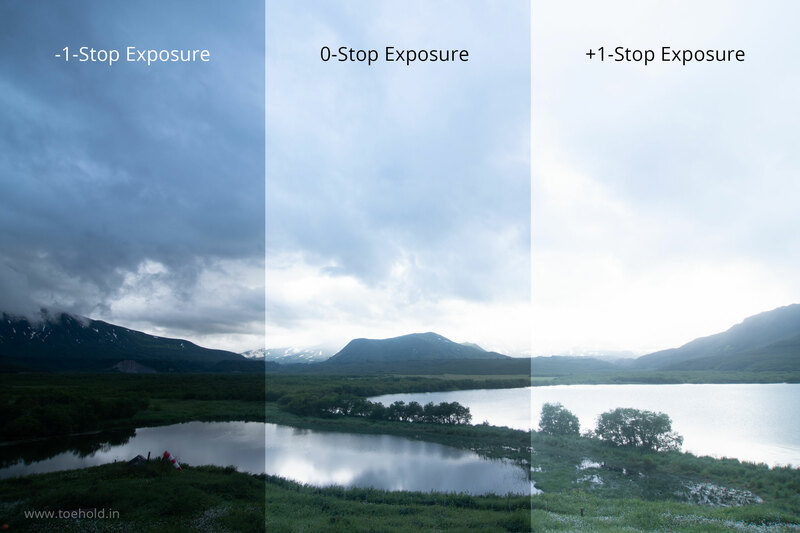 Auto exposure bracketing (AEB) is a feature in many DSLRs that allows you to take multiple pictures at different exposures without having to use exposure compensation. AEB is a way of enhancing the dynamic range in images. If your camera has the feature, it can be activated in the menu. Some cameras have an AEB button on the body itself, often denoted as ‘BKT’. 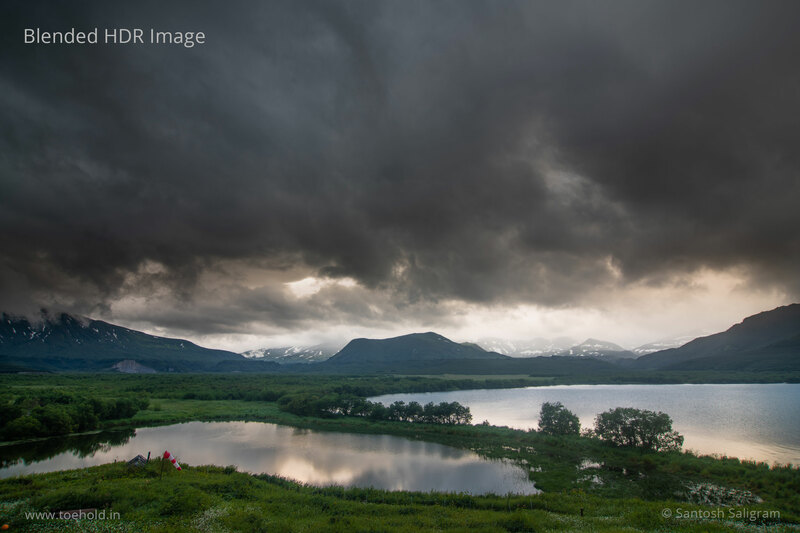 Since cameras are not capable of supporting as wide a dynamic range as the human eye, some parts of a picture, especially when photographing landscapes, turn out either too bright or too dark. The solution to this is to take one exposure for the bright areas so they’re not overexposed, one exposure for the dark areas so they’re not underexposed, and then blend the different exposures in processing so that all parts of the image are desirably exposed. The manual way of doing this is to take a picture with positive compensation, then change the exposure compensation to negative and take another picture. The downside to this, apart from taking longer to execute, is that unless you’re using a tripod, you may end up changing the composition unintentionally while changing the exposure compensation. And that’s exactly where auto exposure bracketing helps. First, turn on auto exposure bracketing by going to the menu or with the button on the body. Next, you must define how many exposures you want. Three are usually adequate. You must also tell the camera how many stops of variation you want between the three exposures. This depends on how extreme the difference between the bright and dark areas of the image is, but one stop is usually adequate. 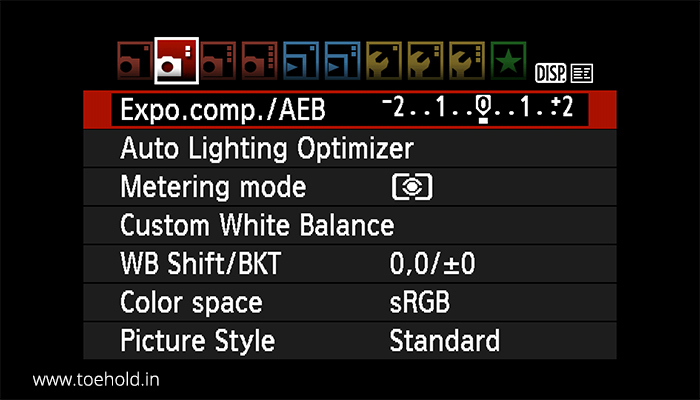 Once you’re done with making the three exposures, be sure to switch off AEB, because otherwise your camera will take three different exposures for every picture you take! We hope this article has given you clarity on what is auto exposure bracketing. We discuss this in a lot more detail, along with all the other critical photography essentials, in our Art and Science of Photography Workshop. Join now to take your photography to the next level! If you wish to learn photography on field, under the real-time guidance of our ace Photography Mentors, join one of our Photography Tours! Santosh is the head wordsmith and chief editor at Toehold. Between bouts of waxing eloquent about the wondrous ubiquitousness of Nature's whimsical beauty, he attempts to feed the content team on ripe imagination and lead it towards the sunlit peaks of excellence. Explore all #Toecabulary articles for some nifty tips. And join our Art and Science of Photography Workshop in Mumbai and Bengaluru to start taking photos like a pro!